Today we achieved something we’ve never been able to before; a line-up of the entire collection. There is usually one away for long-term works or “resting” and not able to join in. However, today all 6 were brought out for this photo. 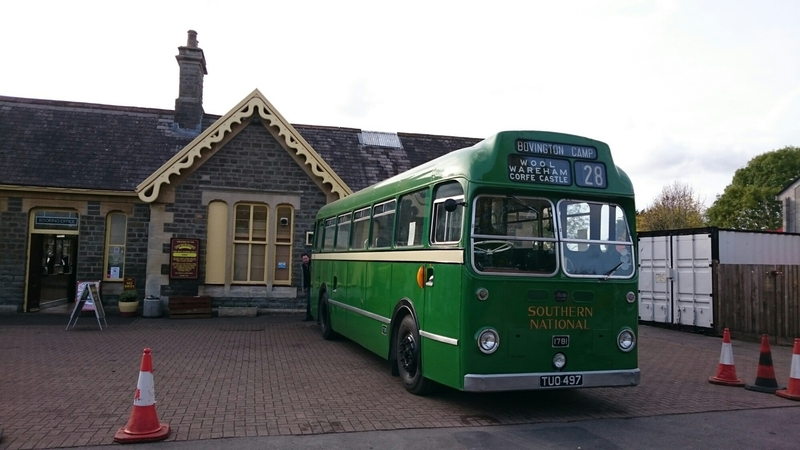 Earlier we’d been out in the Bristol LS TUO497 to the Bristol Vintage Bus Group mini open day at their Brislington site this morning, and stopped off at the Avon Valley Railway at Bitton on the way home. An enjoyable day all round! Posted on October 25, 2015, in Uncategorized. Bookmark the permalink. 1 Comment. 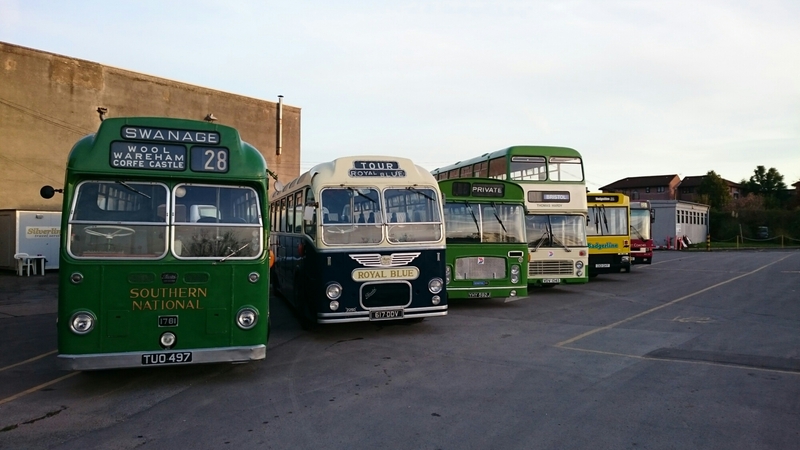 Great website and delighted you have restored Bristol LS Bus TUO497. I went to school on Bristol LS buses and it brings back many memories. 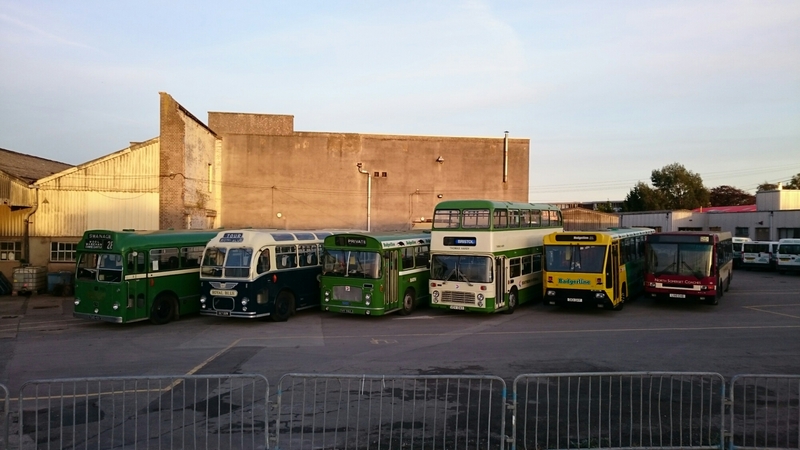 As you say, so few left as many more MW buses were restored, so please keep it running.